I love a good bean-free chili that’s hearty, zesty, meaty and sticks to your ribs. 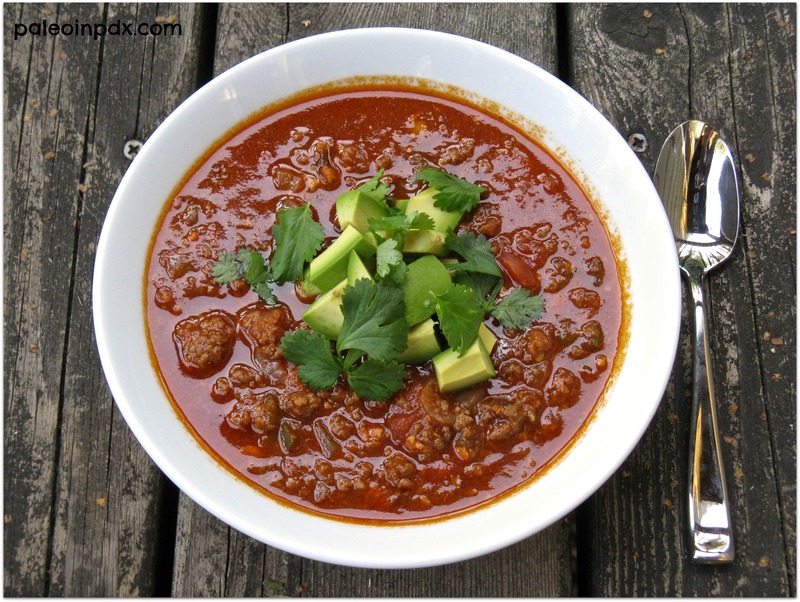 This spicy taco chili is exactly that and it’s incredibly easy too. Honestly, the night I made this, I could not stop raving about the flavors…it’s that freaking good! It tastes even better the next day too. I love when dishes turn out even better than I expected! Now, it’s your turn to be the judge. I hope you love it as much as I do! Add avocado oil, butter or ghee to a large pot over medium heat. Then, add the onion, garlic and poblano pepper, and stir. After a few minutes, add the ground beef and break up with a spatula. Add the choirzo (either as slices or removed from casing, unless using ground ) and taco seasoning. Stir well and continue to cook. After several minutes, once meat is browned, add the lime juice, salsa, strained tomatoes and chicken broth. Bring to a simmer. Then, cover and reduce heat to medium-low. 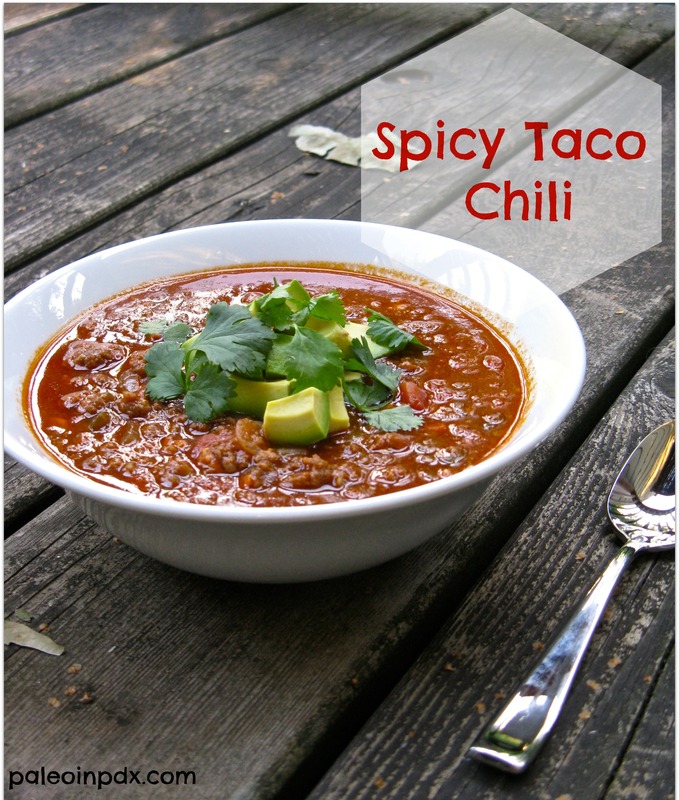 Once chili has simmered for about 10-15 minutes, add the apple cider vinegar and stir. Then, taste and season with sea salt and pepper, as needed. Cover and allow to simmer 20-30 minutes more. Add more broth if chili is thicker than you like. Serve with fresh cilantro and avocado slices, and any other garnishes your heart desires. I always like soup, chili, and stew better the next day too! Nice! Yes, some good fatty sour cream would be a great complement, especially because this is spicy!